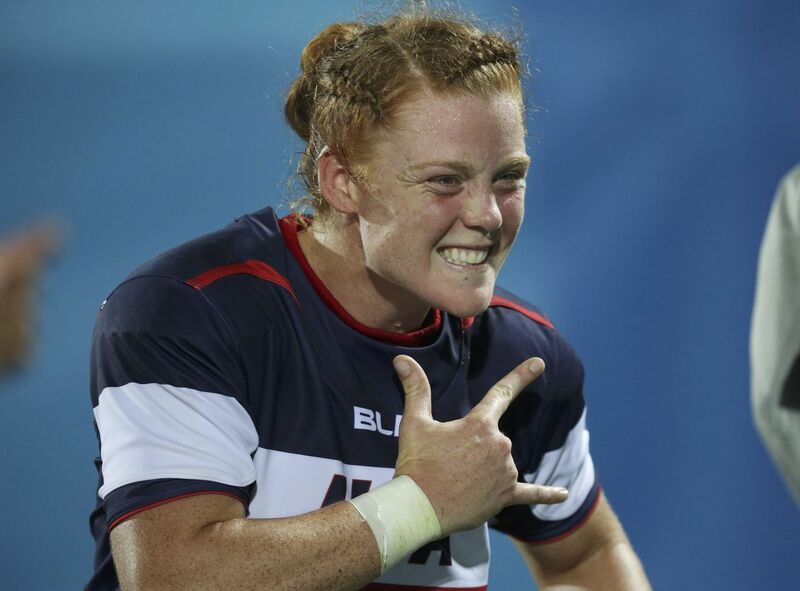 Eagle River's Alev Kelter helped the U.S. women's rugby sevens team make history Sunday in Canada. Kelter and the Eagles captured the bronze medal at the Canada Sevens tournament in Langford, British Columbia, marking the first time the American women have won two World Sevens Series medals in a single season. In December, they claimed a silver medal at the season-opening tournament in Dubai. Kelter, a 2016 Olympian and a 2009 Chugiak High graduate, earned the tournament scoring title with 52 points in six matches in the two-day tournament. She raced the length of the field to provide the final try in a 21-5 victory over France in Sunday's bronze-medal game, and earlier in the day she supplied the game-winning conversion kick in a 28-26 quarterfinal triumph over Canada. Between those two matches, the Eagles suffered a 33-10 semifinal loss to eventual champion New Zealand, which defeated Australia 46-0 in the championship match. The third-place finish vaulted the Americans from seventh place to fifth place in the World Sevens Series standings. Kelter is the second-leading scorer in the World Cup Sevens Series with 149 points, trailing only New Zealand's Portia Woodman (180 points). Next up for Kelter and her teammates is a June tournament in Paris. After that, the Eagles head to San Francisco for the July 20-22 Rugby World Cup Sevens championship tournament, a showcase of the world's top 24 men's teams and top 16 women's teams. The tournament at AT&T Park will mark the first time a World Cup rugby event has been played in the United States.